Every company’s’ technical support outsourcing requirements are unique. 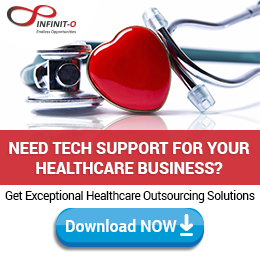 What sets apart Infinit Healthcare from our competitors is our ability to customize our technical support outsourcing solutions according to the client’s own specifications, while keeping a regular set of standards required to ensure client satisfaction. Infinit Healthcare’s international ISO certified processes combined with quality and security certifications and up-to-date technologies will ease your company the worries of unfinished and costly IT operational procedures. 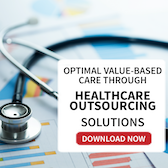 Through medical billing outsourcing, small and private practices can increase the quality of claims submissions while improving the success of collections. Outsourced medical billing services provide a convenient solution to increase the efficiency of a company’s healthcare revenue management cycle. 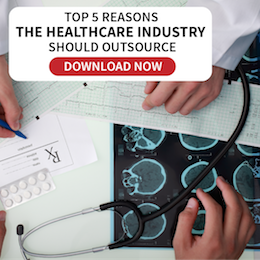 Infinit Healthcare’s outsourced medical billing employees deliver consistent performance to increase a practice’s percentage of billings. Our trained staff will manage administrative duties while you can focus on taking care of your patients. Infinit Healthcare’s finance and accounting professionals have years of experience and knowledge, ensuring fast and more efficient work output. Our comprehensive, customized solutions allow our clients to deal effectively with these challenges. Our highly-qualified finance and accounting outsourcing analysts and CPA’s provide professional support while helping the client reduce labor costs significantly. Our focus on quality and utilization of the latest technologies results in improved efficiencies. We are ISO 27001:2005 certified so our clients can be assured that their data is being safeguarded appropriately. We are also Sarbanes-Oxley and GAAP compliant. Whether it’s through email, voice, or live web chat, we can assist you in adding value each time these communications occur. An inquiry for information, an account question, and even a well-handled complaint can actually become a positive experience in the eyes of the end user and can be an opportunity to create loyalty. Infinit Healthcare focuses on enhancing the experience by providing consistent service delivery across all contact points 24/7. We have the experience spanning virtually all industries and applications.